If you’ve ever played an online prize draw before, you’ll know that they usually have some incredibly impressive rewards on offer- especially the ones that take place at Gala Casino. But, of course, it’s always the casino that decides the prizes and it’s up to players to reap the rewards. 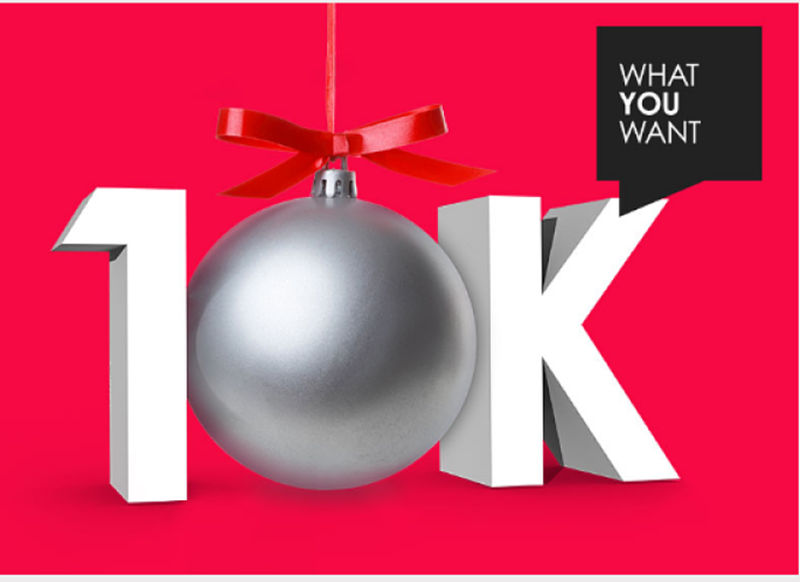 The team at Gala have decided that it’s time players picked their own prizes, so they’ve introduced the What You Want £10K Xmas Leaderboard. This Christmas competition lets winners pick from a long wishlist of treats, read on to find out what’s on offer. It turns out that 13 is not such an unlucky number after all, as this prize draw will treat 13 extremely lucky winners to the rewards of their choice. The full prize pool comes to a total of £10,000 but the individual rewards on offer range from £3,000 to £250. The Xmas Leaderboard promo runs from December 1st to January 1st. In order to qualify for the leaderboard challenge and subsequent prize draw, you must first trigger the promotion by clicking the ‘Opt In’ button on the homepage. As you wager real money and play your favourite Gala Casino games during the promotional period, you will earn points (every £10 earns one point). The more points you accumulate, the higher up the leaderboard you will climb. There are four leaderboards; VIP slots, non-VIP slot, VIP Table Games and non-VIP Table Games. If you manage to earn enough points to land a place in the top 10 of the leaderboard of your choice, you will automatically be entered into the prize draw. Once all 40 players have been selected, the grand prize draw will take place and the 13 lucky winners will be named. The Xmas Leaderboard runs from December 1st to January 1st, only game-play between these dates will qualify for promotion points. Winning players will be contacted within 72 hours of the prize draw being held and have 30 days from then to accept their prize. They will be given a voucher code based on which reward they have won. Voucher codes can be used once to claim one prize from the options listed above. Please note that once winners have picked their prize, this cannot be exchanged, transferred or refunded. Prize draw winners who choose holidays from the available rewards must have a valid and in-date passport with at least two unstamped pages and a visa (if required for the country of travel).